A lot of parents these days are struggling to hold their teenagers to high standards against a backdrop of youth culture and legalized cannabis. This week, we’re hearing from Cecil of Aurora Colorado. My 16 year old son, while not a perfect kid, does pretty well in school, with little effort gets B’s and some C’s and enjoys sports, but just with his friends, not on the school teams. We’ve struggled with getting him to do chores, be home on time, and do his best in school. In general, after some struggling, we get some improvement and things go reasonably well. My question is about marijuana and alcohol use. He is very social and loves hanging out with his friends more than anything. Sometimes they’re doing positive things like playing basketball or video games, and sometimes they are partying or smoking marijuana. His mother and I have come down on him for this and it is the source of many arguments. He claims that everyone drinks and smokes, particularly at parties and if we refuse to let him go to parties, he’ll go anyway or maybe even move out. We’ve talked about it endlessly and now I’ve agreed that he can go to parties if he doesn’t drink and drive or get in the car with someone who drinks and drives and the same with marijuana. We told him that we understand that he will be drinking some and smoking marijuana, but it can’t be often and it can’t be too much. Are we doing the right thing here? All of those statements and ways of thinking are rationalizations for parents who are, for one reason or another, disempowered. If I ask you Cecil, do you want your son smoking marijuana, is it really okay with you, what is your answer? And since you are writing me about it, it’s obvious you are not okay with it. So, why are you allowing it? And the answer is because you feel disempowered. Your son needs an empowered father, and he needs to make some changes for himself, and his love of socializing and partying and his marijuana and alcohol use are undermining his adolescent development. Let me explain. Adolescence is a critical stage of human development. Whatever teenagers apply themselves to, they develop that talent for life. During adolescence, the brain is changing from one that absorbs everything around them as in childhood, to one that specializes and gets very good at whatever it focuses on. So, if your teenager learns a language, or a musical instrument, or math problem solving skills, or a sport or physical activity, or even good social skills or emotional management skills, their brain decides that they will need that skill for life and they are now prepared for that. And, on the flip side, whatever teens don’t apply themselves to, they don’t learn and will be difficult to learn later. Cecil, your son is 16 years old and he loves to hang out with his friends, smokes weed, drinks and isn’t applying himself and you and his mother in your words, “struggle with getting him to do chores, be home on time, and do his best in school.” Not only that, but he threatens to move out if he doesn’t get his way. Cecil, you and your son are in a control battle and the Control Battle is having serious adverse consequences in several areas. Your son’s development is suffering with low expectations and low performance. 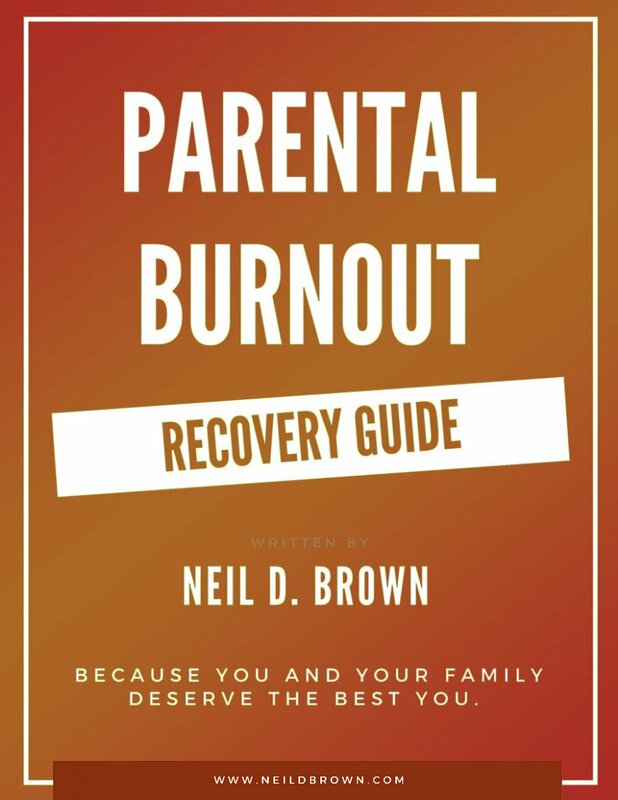 With substance abuse likely leading to serious long lasting substance abuse problems, and you and his Mom are no doubt experiencing parental burnout. I’m glad you’ve asked your question and I’m going to invite you to turn things around. Let’s start with a strong positive view of your son. I don’t know him, but he’s obviously bright if he can get decent grades with little effort. He’s a good athlete although he doesn’t fully challenge and develop his abilities. He has strong social skills. And, he’s quite forceful in his arguing and debating skills. A true extrovert. Now we’re going to take a new look at your role as parent. It’s not your job to make your son behave, do his work, be home on time or not use drugs. Those jobs belong to your son, and he’ll do them and do them well, when he decides to. Your job is to establish appropriately high standards for your son, and to have accountability to those standards, otherwise, you are giving a mixed message. You can’t have high standards without accountability to those standards or the standards are meaningless words. It’s also your job to have and express confidence in him. Teenagers lack confidence in their abilities and parents need to be the holders of that confidence until they can hold it for themselves. Now Cecil, you and his Mom have gotten into a pattern, which I call the Control Battle, and patterns are hard to break. But, they can and need to be broken and when you’re ready, here’s the talk you can use to initiate the change from the old dysfunctional pattern, to a new relationship with high standards and high performance. Parents, this talk can be modified to fit virtually any parent-teen control battle based relationship that parents are ready to break out of. I’ve given examples of The Talk before, so I hope hearing it a few different ways can help you all see how it might apply to your situation. Cecil, for this example, I’ll call your son Andrew. Call a meeting with him with no devices present and maybe some snacks and drinks. Here's how to get started. Andrew, as you know, you and we have been fighting a lot over the past couple of years and we’re not happy about it and I’m sure you aren’t either. There’s bound to be some struggles between parents and kids, but it seems everything between us is a battle these days. That’s not healthy for you and it’s not healthy for us either. Maybe the worst thing about it is rather than Mom and I really enjoying you and being supportive in recognizing your many skills and talents, we’re fighting and struggling. I’m not saying very much that is positive. That’s not what you need from parents. You need parents that recognize your abilities and are proud of you and can let you know that. You’re very smart and we can see that with very little effort you’re doing halfway decent in school. You’re a talented athlete and enjoy athletics, you have great verbal skills and often can even out argue me and your Mom. You’re very popular and have an easy time making friends and everybody loves you. And it’s sad that Mom and I haven’t taken the time to let you know how proud we are of you and how special you are to us. So, we owe you an apology for not expressing this sooner and more clearly, but also for letting you down in other ways. Andrew we have not been asking you to do your best. Doing your best is very important; that’s how you learn how talented you really are and that’s how you develop your talents and that’s how you prepare yourself for adulthood. Doing your best is critical because that’s how you learn to become independent. Andrew, independence is the ability to manage responsibilities without a lot of direct support. Throughout our lives we’ll always need help at various times; none of us are good at everything, but we have to embrace the concept of managing responsibilities and doing our best. Unfortunately Mom and I have not taught you that. We’ve argued and fought, lowered our standards, we’ve not required you to do your best. Now, even against our best judgment, we’ve told you it’s okay for you to use marijuana and drink alcohol as long as you don’t do it too much, too often, or drive when you do. Shame on us! In fact it’s not okay for you to use marijuana alcohol or any other non-prescribed drug. And it’s not okay for you not to do your best in school. You’re clearly capable of getting all A’s and maybe some B’s but it’s not really the grades were concerned about. What we haven’t been asking for, and what we will ask for going forward, is your very best effort. Also, at 16 when mom and I ask you to do something around the house, we should be able to expect cooperation. You’re a young man now and we need your help, so if we ask you to take care of something such as clean your room or take the garbage bins down to the curb, we should expect cooperation without a fight. The other area we’ve let you down in is not requiring you to have some positive activities, other than hanging out with your friends, to be involved in. You haven’t gone out for a sport at school or joined any of the clubs, and you’re not working. I can see where you would be confused because you’ve been enjoying privileges even though you have not been doing your best. And by privileges, I mean your cell phone, computer use, freedom to go out and be with your friends, frequent use of the car, and allowance. These are privileges and privileges must be earned and the way to earn them is by managing your responsibilities up to the best of your ability and by having a good attitude. A good attitude means respectful in your tone of voice with me and Mom and being cooperative. So, going forward, let us be clear, there will be no drug or alcohol use including and especially marijuana. We expect you to do homework every night for at least an hour and a half. I’m going to need you to choose something positive to get involved in. That can be a sport, volunteering with after-school activities for the elementary school, a job, or any other positive activity that you can think of. We’ll expect cooperation and respect when we talk with you about our expectations. Cecil, I’m sure your son will want to interrupt and argue, and when he does, and it looks like asking him to hold his thoughts and questions will just result in an argument, just listen, acknowledge his thoughts and feelings. Andrew, starting now, you are expected to be home after school every day and there will be no going out without specific permission. If you want to keep your phone and other privileges, you are going to step up your game and show us that you are taking this all VERY SERIOUSLY. Andrew I know this might feel harsh, but it’s actually what should have been happening all along. So, I’m sorry for taking this long to be clear, but better late than never and you’re worth our best. So listeners, I know it’s hard to challenge old patterns, and I know it’s hard to challenge a culture of substance abuse among our youth. It takes courage to parent teens and if you muster up the courage, you’ll empower your teenager to invest in themselves and be courageous as well. Have you read my book Ending the Parent Teen Control Battle? Whether you have or not, you can go the publisher and access free tools for the whole family! Click this link and select the Free Accessories option. Download the chapter For Teens Only. It also comes with a free Control Battle assessment. Control Battles are a family affair so we might as well include our youth in resolving it. And it’s free and that’s my favorite price, how about you? And remember, take care of yourselves; you need it, you deserve it, you’re worth it. Bye for now.